Enjoy the health and productivity benefits of standing without compromising the sophisticated aesthetics you love. The 55 inch Stand Steady Tranzendesk Executive Desk / Computer Desk with Adjustable Keyboard Tray offers the comfort and features you need for a productive workday that extends well into the evening. 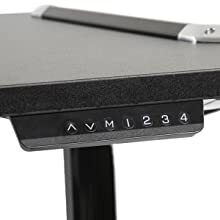 Highlights of this standing desk include a smooth operating electric height adjustment with a programmable keypad that remembers your four favorite standing and seated positions. This premium executive office desk also offers an adjustable keyboard tray, dual cable pass through holes, plus an included padded wrist rest and mouse pad. 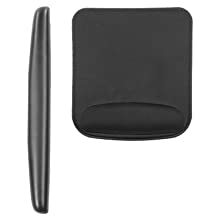 Other friendly features include an extended height range for extra tall users, not to mention chrome accents and a striking matte black finish that enhance a modern office setting. The sturdy construction means it will be your trusty companion through countless promotions. ERGONOMIC: Designed for all day comfort, this premium 55-inch modern executive desk features a spacious desktop that can hold multiple monitors. 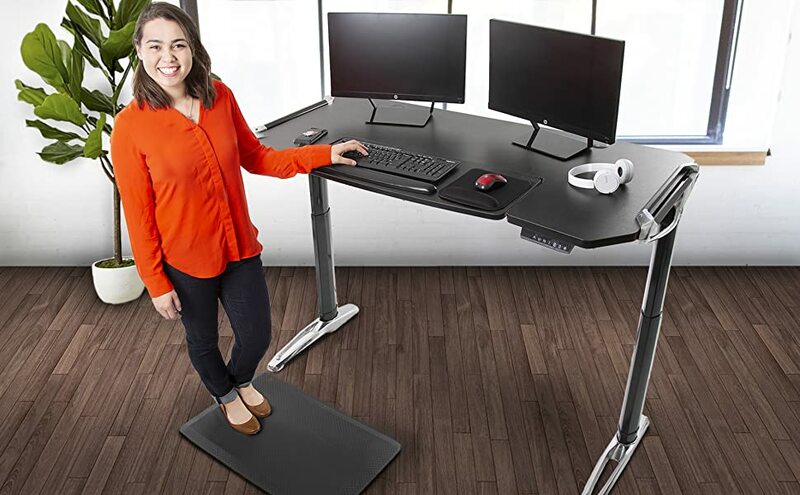 It also allows you to stand, sit, and optimize your keyboard and monitor placement. 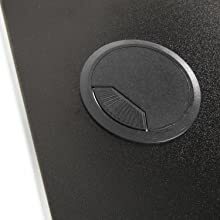 PROGRAMMABLE HEIGHT: Electric standing desk keypad remembers your four favorite standing and seated positions. Program to your desired heights and switch from sitting to standing in no time. Plus, you enjoy smooth adjustment with the push of a button. 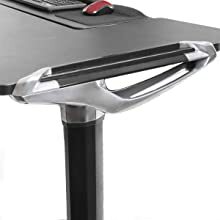 ADJUSTABLE KEYBOARD TRAY: This executive office desk offers a spacious, height and tilt adjustable keyboard tray to place your wrists and arms at the most comfortable angle. BOLD MODERN STYLE: Matte black finish and striking chrome details will compliment your office decor. FRIENDLY FEATURES: Our new stand up desk offers an extended height range for tall users, dual cable pass through holes, and an included padded wrist rest and mouse pad for supreme comfort. 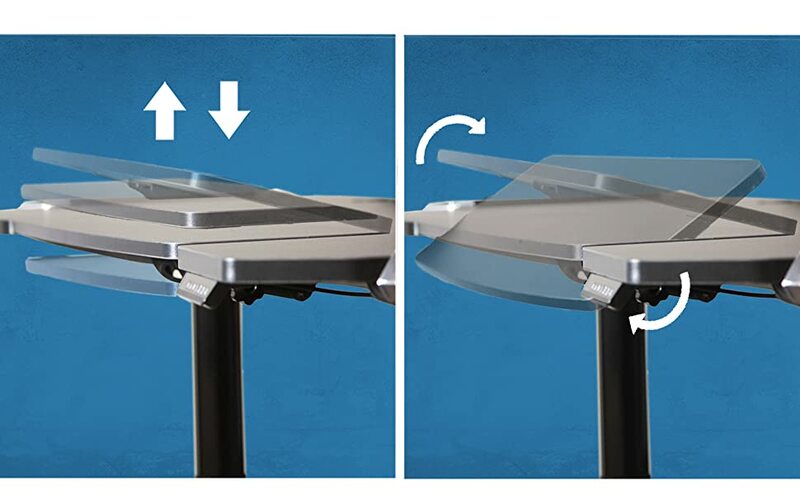 Structurally engineered and high-end features make your Stand Steady Tranzendesk Executive stand apart from any other desk. Highly designed chrome detailing paired with its sleek, matte black finishes, highlight the advanced structural elements of this engineering marvel. When you already have too many things on your mind, let your Stand Steady Tranzendesk Executive do some of the work for you. Its four programmable height adjustment settings give you the freedom to tackle your overwhelming work week with both precision and comfort. Your Stand Steady Tranzendesk Executive not only offers a large surface area of 11 square feet, your beautifully engineered keyboard tray provides maximum control for maximum comfort. 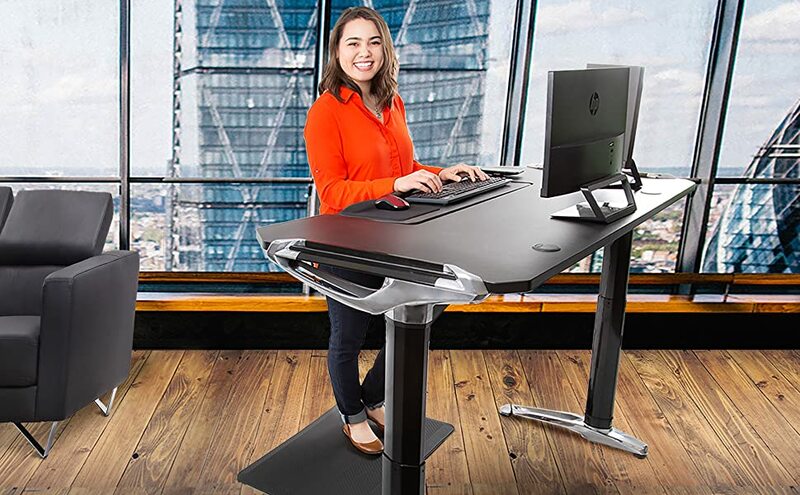 Advanced structural engineering provides complete height adjustment AND tilt adjustment capabilities, up to a 45 degree angle -- full ergonomic support for your executive. Modernize your workspace as the bold, angular design and chrome detailing beautifully compliment the matte black finish of your new Stand Steady Tranzendesk Executive Standing Desk. Precision engineering allows you to set your Stand Steady Tranzendesk Executive height up to 4 feet tall. Watch it adjust at the push of a button. When you are tired of looking at all those cords on your desk, this dual cable pass-through will help clear the clutter and clear your mind. For those long work days when you just need a little help, we've got your back! Enjoy a complimentary ergo-dynamic padded wrist rest and mouse pad for your perfect comfort. Stand Steady Tranzendesk Electric Standing Desk | Premium Executive Sit to Stand Desk with Programable Electric Lift!